MBA IT is a business administration course with specialization in information technology. This subject integrates the idea of information technology with business management. The course puts special emphasis on the business and management areas of IT sector. Those candidates who have obtained a bachelor’s degree in any stream can opt for this course of 2 years’ duration. A management degree in this subject makes one qualified in handling administrative problems and areas related to information technology. Candidates with this degree generally have an added benefit as they have knowledge of business aspects and technology together. Today, MBA IT has become one of the most sought after courses as the scope of this course is extremely vast in the corporate world. Candidates with an MBA IT degree can find jobs in various public and private sector undertakings, IT industries, banking sectors, and IT and business related firms. There are several MBA in IT colleges all across India where students can receive education. Rajasthan, one of the largest states of India, likewise can be aptly considered by students to opt for a course in this subject. The state has a good number of private colleges that provide higher education in this area. So, if you are also looking to enroll in a postgraduate course in MBA IT in Rajasthan then there are ample of colleges in this state that you can select from. Have a look at the best private MBA IT colleges in Rajasthan for pursuing a course in the field. JECRC University School of Management offers programs at post graduate level of MBA IT. The course of the institution has been designed to enable management students gain skills like analytical ability, communication skills, data interpretation, problem solving, and so on to develop a holistic perspective of the business world. 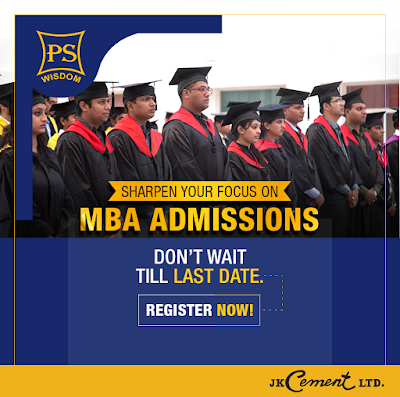 Sir Padampat Singhania University, one of the best educational institutes offering MBA courses that formulates management programs to cope-up with the needs of the management industry. The management curriculum of the institute aims to develop in-depth understanding of topics related to business and information technology. Special emphasis is given on international exposure, soft skills and personality development. The University also has international collaborations with foreign universities in Czech Republic, Japan, Austria, Israel and the USA. The course of study provides a prospect to practice dual specialization in different areas of management in a two-year post graduate program. Students with graduation in any discipline can apply for the MBA program. The selection procedure is through the Admission Test -SPSAT. Jagannath University, established in 2008, provides MBA IT specialisation course in a two-year full-time program. The MBA department of the institute provides a strong foundation in the basic discipline and enables the students to specialise in their area of interest. Students with graduation in any discipline can apply for the course. The selection procedure is through MAT/CAT/ CMAT/JUEE. Biyani Group of Colleges is one of the best colleges in Rajasthan providing MBA IT course. The college is committed to impart quality education through an intellectual faculty board. MBA courses in this reputed institute are provided in two-year program. Poddar Group of Institutions welcomes graduates with a minimum of 50% aggregate marks from recognised universities to enroll in its MBA IT course. The institution puts special emphasis on a syllabus that provides theoretical and practical training to students to help them gain a better understanding of general business management functions and the role of information technology.